Well, it looks like Krita 4.1.3 just won't build on our base. I'm starting to suspect that it might need a newer KDE 5, instead of a newer gcc--if anyone has the Neptune OS repo URL that I could hook to a pbuilder, I could test that theory. However, since the Krita 4.1.3 AppImage seems to work very well, I don't want to invest too much time on this. I tried it with Neptune OS's newer KDE, and it still failed--so it looks like it's AppImage or Flatpak from now on if you want the shiny new versions. Yes, I was able to build 4.1.2 on our platform with just a few extra backports (vc-dev and libheif-dev (>= 1.2.0), but the new code they added to 4.1.3 causes a build failure. I am able to build it on a vanilla Buster platform, so I'm now suspecting it needs a newer compiler. I'd try one of our newer clang compilers, such as clang-6.0 in the test repo, but I found a project where Debian tries to recompile every package with clang, and Krita is one of the ones that fails. I tried the new 4.1.5 release, and a build failure now happens even earlier. It built successfully on a Debian testing base, though. 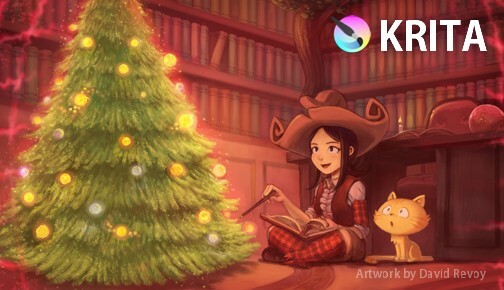 Krita bugfix release 4.1.7 is now in the test repo! Updated to 4.1.7.101 in the test repo, though I'm not exactly sure what that fixes over over 4.1.7. The latest bugfix 4.1.8 release is now in our test repo, though they don't have any release notes out yet. As usual, it won't pull in anything extra (non-krita) outside of the standard Debian or MX main repos, though it's in testing. Please let us know how it install and runs here if you try it out. Appears to work, but my usage of graphic applications is so rudimentary I can't give it a proper run out.